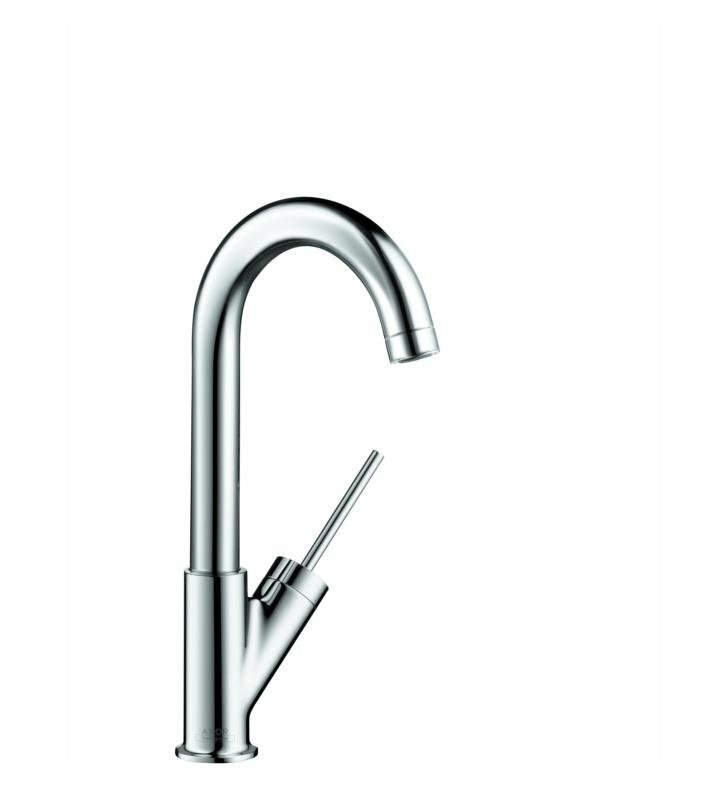 The Starck Bar Kitchen Faucet adds an instant upgrade to any kitchen undergoing renovation. 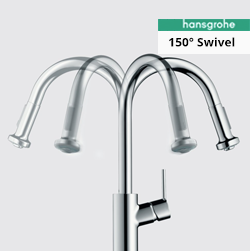 Its high-arched neck and compact design make it perfect for counters with limited space. 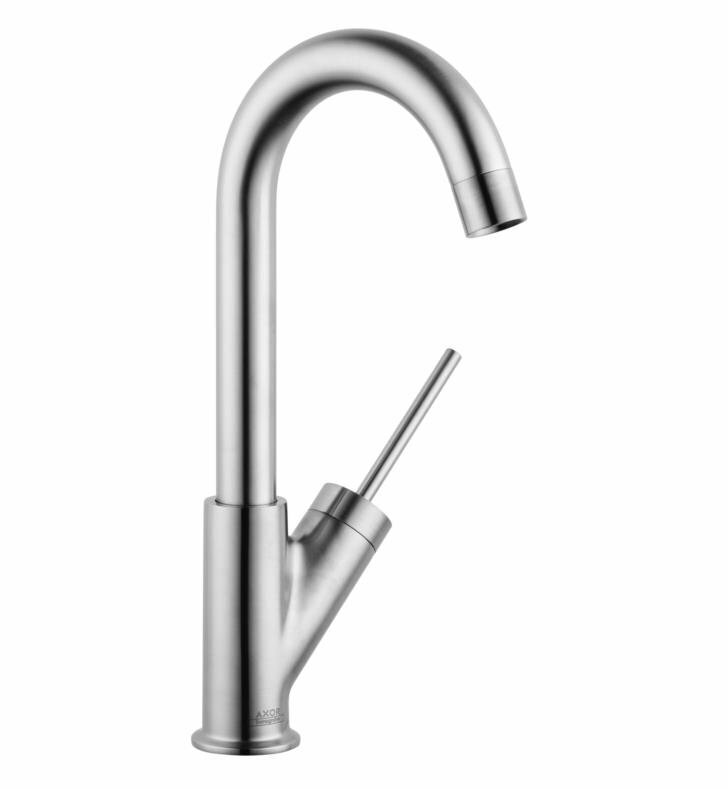 Made from solid brass, the Starck Bar Kitchen Faucet will be able to withstand the test of time even with repeated daily use and with a flow rate of 1.5 GPM it will help save on water costs. Select either a Chrome or Steel Optik finish to suit your bathroom's established decor. 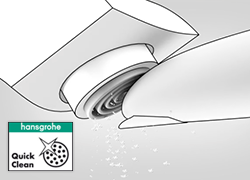 150° swivel area lets you access most, if not all, areas of the sink and enhances the faucet's versatility when in use. 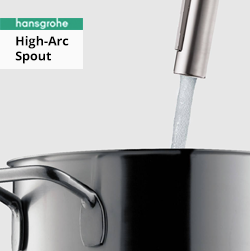 High-arc spouts allow you to use your faucet even in cramped spots. By raising up much higher than the sink itself, you're able to fit bulkier items into the sink for filling. H 13 1/4" x W 2" x D 5 5/8"